The Medical Marijuana Facilities Licensing Act (MMFLA; PA 281 of 2016) establishes a regulatory framework around medicinal marihuana, treating it like the commodity it is. 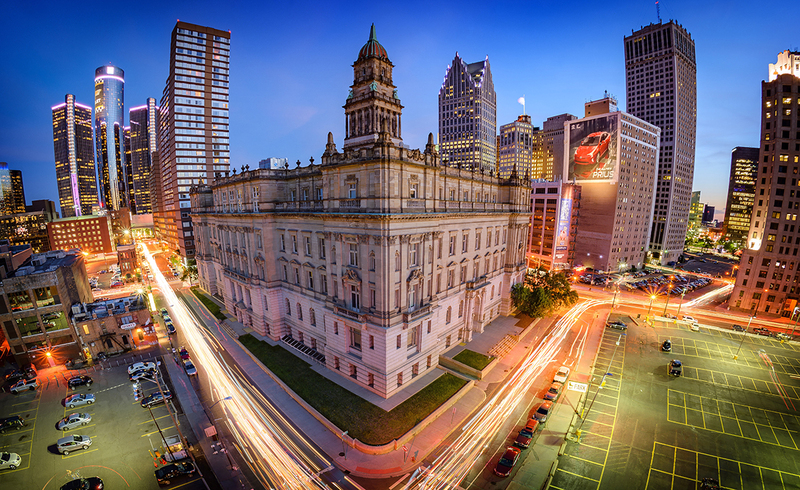 The regulatory framework draws on elements of the regulatory structures in place for alcohol under the Michigan Liquor Control Code and for gaming under the Michigan Gaming Control and Revenue Act. Under the MMFLA, businesses can grow, transport, test, process, and sell medical marihuana, as long as they are sited in and permitted by an approving municipality, obtain a state license, and follow the legal requirements set forth in the Act. See the full list of municipalities that have an opt-in ordinance. Proof of financial responsibility – Applicants must file proof of financial responsibility in an amount not less than $100,000.00 This financial responsibility is set aside for potential liability for bodily injury for harm resulting from the manufacture, distribution, transportation, or sale of marihuana. Employee restrictions – Licensee employers are required to perform a background check on prospective employees. If this check indicates that a prospective employee has a pending charge or conviction for a controlled substance-related felony within the past 10 years, the licensee must obtain permission from the Board before hiring the prospective employee. Transfer of license ownership – A license is a revocable privilege granted by the State of Michigan, not a property right. Licenses are exclusive to the licensee. Attempted transfer, sale, or conveyance of an interest of more than 1% must be approved by the Board. License Term and Renewal – Licenses are issued for a 1-year period, renewed annually. Allows for the sale of marihuana and marihuana-infused products to patients and caregivers. A Provisioning Center is a licensed commercial entity that purchases marihuana from a grower or processor and sells, supplies, or provides marihuana to patients, directly or through the patient’s caregiver. The term includes any commercial property where marihuana is sold at retail to patients or caregivers. Applicant, and each investor in the Provisioning Center must not have an interest in a secure transporter or safety compliance facility. Before all sales, must identify whether the patient or caregiver holds a valid, current, unexpired, and unrevoked registry identification card and that the sale will not exceed the daily purchasing limit and the maximum THC levels for medical edibles. No sale of alcohol or tobacco on the premises. Not allow a physician to conduct medical examinations or issue medical certification documents on the premises for purposes of obtaining a registry identification card. Allows for the storage and transportation of marijuana between licensed facilities. A Secure Transporter is a licensed commercial entity that stores, transfers, and transports marihuana between separate marihuana facilities for a fee. Only these entities can transport marihuana in the regulated system. A transporter does not transport marihuana to a patient or caregiver. A Safety Compliance Center is a licensed commercial entity that receives marihuana from a marihuana facility or a registered primary caregiver, tests it for contaminants and for tetrahydrocannabinol and other cannabinoids, returns the test results, and may return the marihuana to the marihuana facility. A Processor is a licensed commercial facility that purchases marihuana from a grower and extracts resin from the marihuana or creates a marihuana-infused product for sale and transfer in packaged form to a provisioning center. A processor cannot have an interest in a secure transporter or a safety compliance facility. A Grower is licensed to cultivate, dry, trim, or cure and package marihuana for sale to a processor or provisioning center. A Grower cannot be a registered primary caregiver. There are three levels of Grower license based on the amount of product grown. An excise tax, imposed at the provisioning centers, is assessed at the rate of 3% of gross retail receipts. Retail sales will presumably be subject to the state’s 6% general sales tax, although no mention of this is made in the legislation. Regulatory Assessment – The Act creates a regulatory assessment, collected annually from all licensees except safety compliance facilities. The assessment is allocated in proportion to all licensees. Marihuana Regulatory Fund – The Act creates a regulatory fund to be used to support the implementation, administration, and enforcement of the MMFLA. Reporting – Licensees must submit financial statements, reviewed by a certified public accountant, to the Medical Marihuana Board each fiscal year. Verify that a transfer will not exceed the limit that a patient or caregiver is authorized to receive under the MMMA. Protected Activities – In general, a person granted a state operating license who is operating within the scope of the license, and the licensee’s agents, will not be subject to state or local criminal penalties regulating marihuana; state or local criminal or civil prosecution for marihuana-related offenses; certain searches or inspections; seizure of marihuana, real or personal property, or anything of value based on a marihuana-related offense; or license or other sanctions by a business, occupational, or professional licensing board or bureau based on a marihuana-related offense. However, a marihuana facility, and all articles of property within it, are subject to examination at any time by a local police agency or the Michigan State Police. Marihuana Advisory Panel – The Act creates a 17-member Marihuana Advisory Panel within the Department of Licensing and Regulatory Affairs (LARA) to make recommendations concerning rules and the administration of the act. Appointed members serve for a term of 3 years. Medical Marihuana Licensing Board – The Act creates a 5-member Medical Marihuana Licensing Board within LARA. The Board is responsible for granting and denying applications, conducting meetings, working with LARA to promulgate rules, oversee facilities, investigate issues, disciplinary action against licensees, and determining the application fees and regulatory assessments. The Board cannot cap the number of licenses issued by the State. Patients and caregivers operating under the scope of the Michigan Medical Marihuana Act, MCL 333.26421 et seq. (the “MMMA”), will be protected under the same rights and privileges that existed before the MMFLA was enacted. A patient or primary caregiver can continue to cultivate medical marihuana under the protections of the MMMA without any additional rules, burdens, or constraints. The MMFLA does not interfere with the existing MMMA framework. The MMFLA only expands a registered patient’s access to medical marihuana. Soon, under the MMFLA, registered patients will be allowed to purchase medical marihuana from licensed provisioning centers. And, primary caregivers can still assist patients with the medical use of marihuana, and can still maintain the right to cultivate medical marihuana on a patient’s behalf. But, under the MMFLA, a primary caregiver who is unable to provide adequate medical marihuana to his or her registered patient will now be able to obtain medical marihuana from a licensed provisioning center on behalf of that patient. There has been a lot of confusion surrounding the MMFLA, leaving many current caregivers wondering how they are going to comply with the new laws. Rest assured, caregivers operating lawfully under the requirements of the MMMA are not affected by the MMFLA. If you have any questions regarding the scope of the MMMA’s protections or are interested in pursuing a commercial license under the MMFLA, please do not hesitate to contact our office. We provide monthly talks to discuss rights and privileges of patients and caregivers under the MMMA, and we have started a series of CannaBiz seminars designed to assist clients in preparing to pursue licenses under the MMFLA.